A party song sung by Bob Rhymes, Sachin Dev Mika featuring them. The audio of this song is available on YouTube at the channel Music Manoranjan. This audio is of 2 minutes 43 seconds duration. 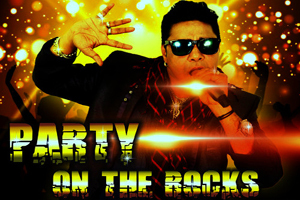 Lyrics of "Party On The Rocks"
Lyrics in Hindi (Unicode) of "पार्टी ऑन द रॉक्स"